Calcedony Onyx Bracelet is fancy and stylish. Blue and white combination is classy and appeals to eyes. 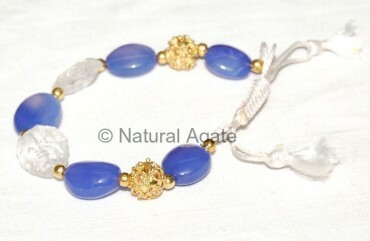 You can get this bracelet only on Natural Agate.